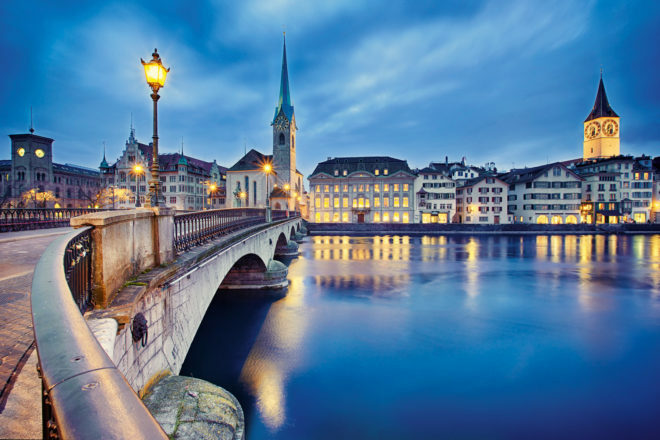 Insider’s guide to Zürich in Switzerland, ranked #69 in our countdown of ‘100 Most Incredible Cities in the World’. Im Viadukt has them all in one place. The best cultural event: Theaterspektakel. For casual food with a great view go to Pumpstation and for fine dining try Razzia. The best boutique accommodation is at Hotel Helvetia, and the best hotel with a view is Hotel Zürichberg. My favourite place for a hot chocolate (in the historic town) is Cafe Schober. And when friends visiting from abroad want to explore the city in a different way I recommend Foxtrail.